Sue Finley murdered people...on paper. As a mystery writer, she knew all the angles, who did what and why. The only thing she couldn't explain was...well, men. Dating was like diving into a box of chocolates: sometimes the sweetest-looking specimens were candy-coated poison. After a breakup with a bank robber and a divorce from a cross-dresser, she gave it up for good. Then came Detective Jason Dodd. Raised in foster homes, Jason swore never to need anyone as much as the parents who'd abandoned him. That was why he failed to follow up after experiencing the best kiss of his life: real passion was addictive. But when Sue Finley started getting death threats, all bets were off. The blonde spitfire was everything he'd ever wanted -- and she needed him. And though this novel situation had a quirky cast of characters and an unquestionable bad guy, he was going to make sure it had a happy ending. At the end of the book, get a sneak peek at Christie Craig's newest contemporary romance, BLAME IT ON TEXAS, now available from Forever Books! Read on for a preview of her recent release, MURDER, MAYHEM AND MAMA, available now in paperback and ebook! AND as an added bonus, you'll also get a look at the first EIGHT chapters of BORN AT MIDNIGHT, the first book in the New York Time-bestselling YA paranormal series, Shadow Falls, that Christie is writing as C. C. Hunter!! BORN AT MIDNIGHT, AWAKE AT DAWN, TAKEN AT DUSK and WHISPERS AT MOONRISE are currently available from St. Martin's Griffin wherever books are sold. CHOSEN AT NIGHTFALL releases on April 23rd!! Do you search year after year for the perfect Thanksgiving recipes to add a new twist to your traditional turkey and dressing menu? Thanksgiving is a difficult holiday to try to serve something different. Sometimes the tried and true is what everyone wants. So why not give it to them - with some upgrades, of course! 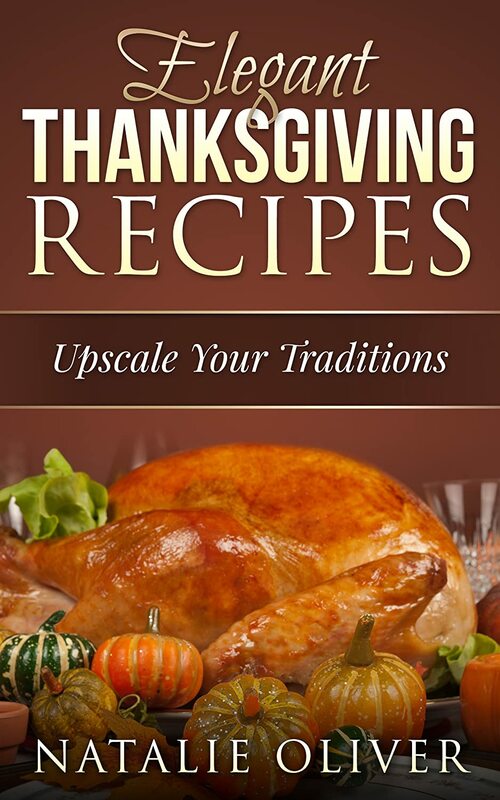 This new Thanksgiving recipe book from Natalie Oliver includes a complete menu with recipes for a stunning traditional turkey and dressing meal. Your family and friends will enjoy upscale tradition and never know what hit them! If you've decided to be daring and go with something other than turkey, Natalie also includes two other menus - one with a lamb main course and one with pork. Each mouth watering menu includes appetizers, a main course with several side dishes, a dessert, and a signature drink for the meal. You'll also have a chance to get printable shopping lists for each menu and a BONUS! See inside the book for details! Dogs Love Romance short stories explore remarkable bonds we share with our canine companions along with heartfelt human connections, finding the one, and falling in love. River is a free spirit, trapped in a 9-to-5 job with little time to socialize and fantasies of travel. 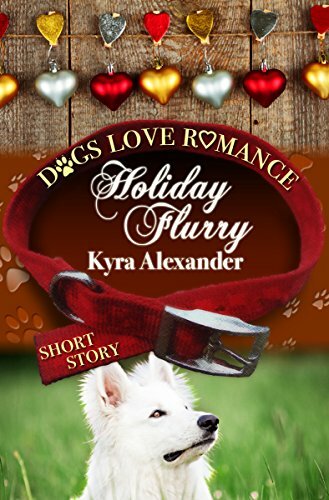 The love of her life is Flurry, her over protective, white German shepherd dog. Simon works overseas and only occasionally comes back to visit family in the States. When fate brings River and Simon together, sparks fly, but what's the point? Thousands of miles separate them from one another, making a relationship hopeless. As summer ends and Simon leaves for Germany, River fears it may be too much to hope even for Christmas to bring them together…. Love the recommendations. Its cool how the price is announced as well. some sites dont do that. 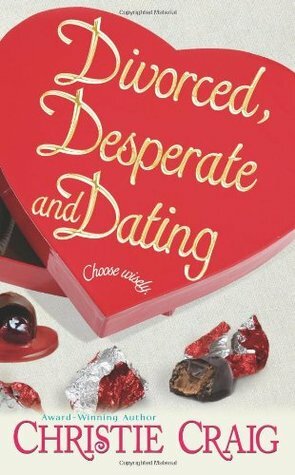 "Divorced, Desperate and Dating sounds entertaining. I am looking forward to reading it. 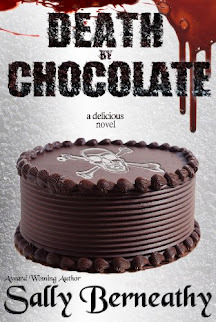 It's cool that the author presents us with previews and the first 8 chapters of another book.